DROWSY CHAPERONE: The Smash Broadway Musical Hit is coming! 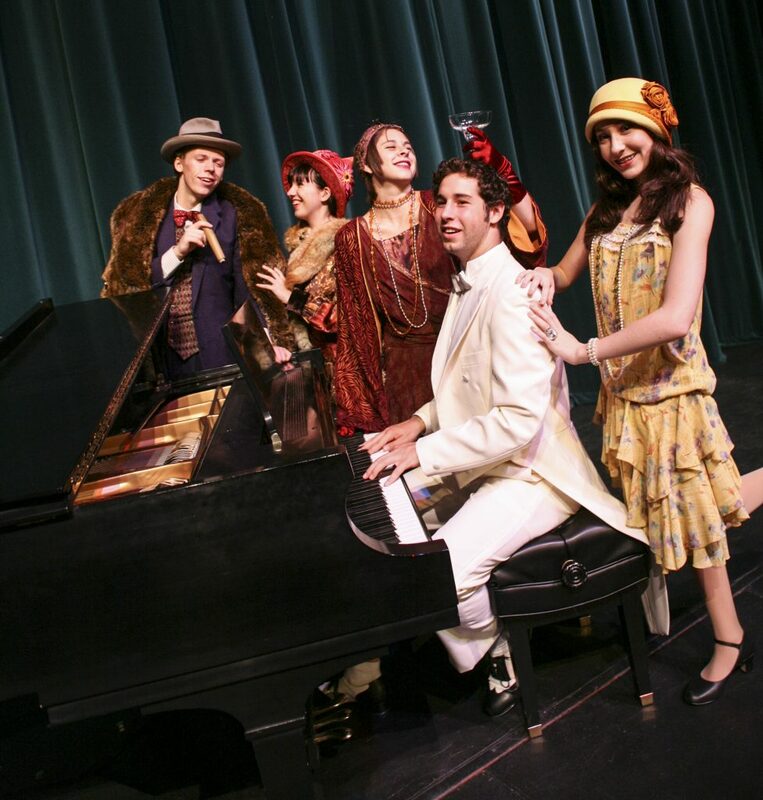 Ashland HS will present the recently acclaimed 2006 Broadway, The Drowsy Chaperone. Winner of 5 Tony Awards and 7 Drama Desk awards including “Outstanding Musical,” this is one hilarious show-within-a-show. It begins when a die-hard musical comedy fan dusts off his favorite cast album, a 1928 smash hit called The Drowsy Chaperone. The album magically bursts to life and the audience is instantly immersed in the glamorous, comical tale of a celebrity bride and her uproarious wedding day. Directed by Tyrone Wilson and choreographed by Suzanne Seiber, Drowsy is pure delight. It’s one of the wittiest, craziest shows ever to hit Broadway. You’ll want to see the show critics announced as “Irresistible! A witty, winning, refreshing cocktail of a show” and “delightful and sparkling entertainment!” It’s from the award-winning artistic and production team that brought you the critically acclaimed productions of The It Girl and Rodgers and Hammerstein’s Cinderella. Tyrone Wilson directs a cast of 28. Featured performers include: Jeremiah Lieberman; Noah Yaconelli; Lisa Marie Werfel; Alyssa Monning; Amelia Mejia; Michaela Poling; Joseph Yaconelli; Jackson Richmond; Braedon Bell; Mason McClellan; Elena Toppo and Isabelle Enns. On the creative team, Karl Iverson as the musical director and Mary Scott is the costume designer; Bart Grady is the tech director as well as the lighting designer. David Pedersen is the master carpenter and Don Zastoupil is the set designer. Jonny Burt is the stage manager assisted by John Crader and Connor Ferguson. Tickets are now on sale online at www.showtix4u.com or call 1-866-967-8166 and in downtown Ashland at Paddington Station, Tree House Books and Music Coop. Reserved $20; General $15; Student under 18/Seniors over 65: $10. Reserved tickets are only sold online. Seven evening shows play Wed through Sat, November 7—10 and Thurs—Sat, Nov. 15–17. Our $10. preview show will be Wed. November 7 at 7:30 p.m. Sunday matinees will show Nov 11 and Nov.18 at 2 p.m.